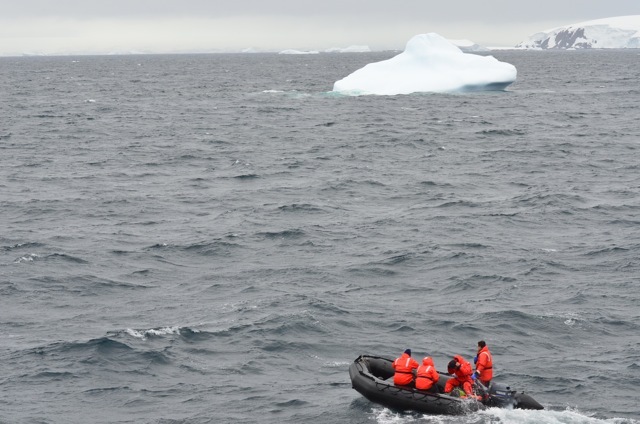 Aquarium senior educator Jo Blasi is on expedition to Antarctica to help study the impact of climate change in these areas and changes in the marine ecosystem. She will be live blogging frequently about the expedition, research technologies and marine life encountered during the trip. Palmer LTER researchers work to understand the changes occurring along the Western Antarctic Peninsula by monitoring the ecosystem. That means studying everything here, including water chemistry and currents, bacteria, phytoplankton and krill. I bet you can't guess the largest item on the list? Whales! Dave Johnston and Zach Swaim (a former contributor to the Right Whale Research Blog!) of Duke University are guest contributors to this research expedition, studying the large marine mammals, such as whales and seals, in the Palmer LTER area. Check out Zach’s blogs as part of the New England Aquarium’s Right Whale Team. 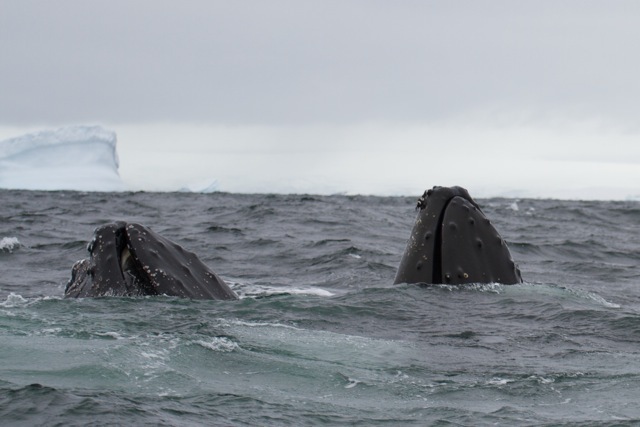 As a new research component under the LTER project, it is important to catalogue and study whales and seals as top predators of the Antarctic system. Studying whales is not easy. 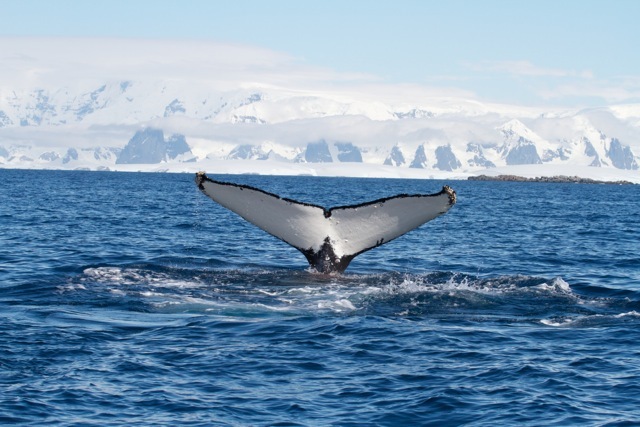 The whale team has to first obtain special permits from the National Oceanic and Atmospheric Administration (NOAA) that allow them to do their research. 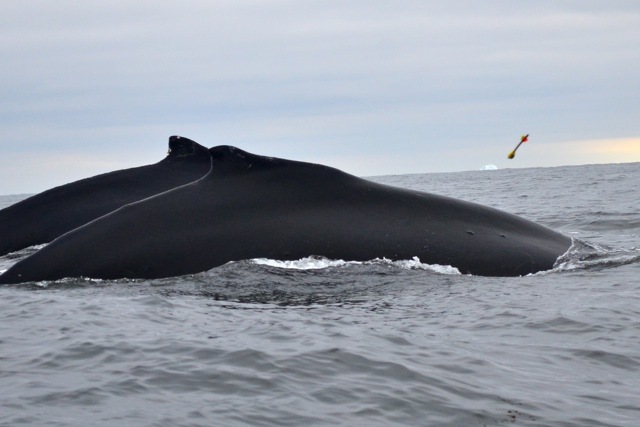 The next step was finding the whale, which I must admit is not an easy task in the open ocean! Fortunately, the whale team has lots of help. Once a whale spout is seen and the timing is right, the researchers spring into action…or more accurately into a zodiac. Then it’s off to find the whale. In addition to photographs, Dave and Zach try to get a biopsy, or a small tissue sample from as many whales as possible. The tissue samples can be tested for DNA and lipids, or fats. These two things tell researchers about the health of the whale like where it might have been seen before and other crucial data. The technology used to get that sample? 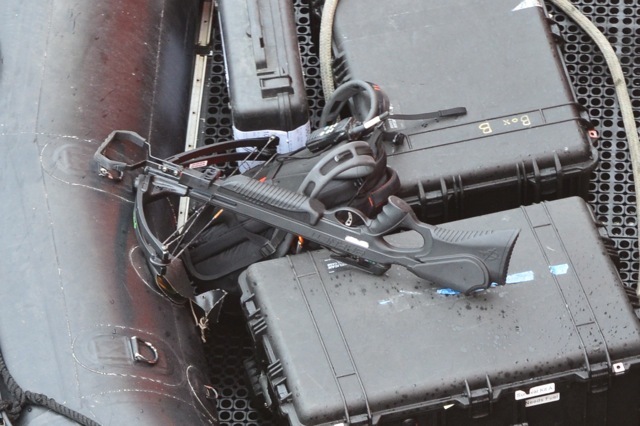 A crossbow! 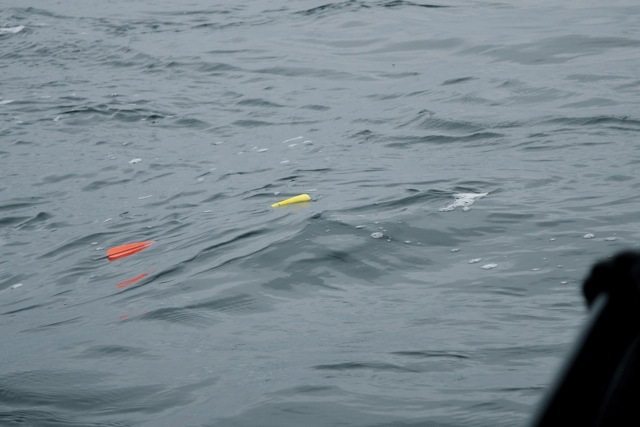 Combined with a small biopsy arrow, the crossbow allows the researchers to get a very small tissue sample from the whale without getting too close. After locating a whale and getting some fluke and dorsal fin photographs, Dave or Zach take aim for a spot below the dorsal fin and then shoot. The dart sails through the air, hits the whale and then falls back into the water, waiting to be retrieved by the zodiac crew. If the shot was successful, the dart has a small piece of dark-colored skin tissue and lighter-colored blubber. (As Aquarium researchers report in this post, the process is minimally invasive and when done correctly elicits little or no reaction from the whale.) Once the samples are collected from the animals, it’s back to the lab to preserve the samples. 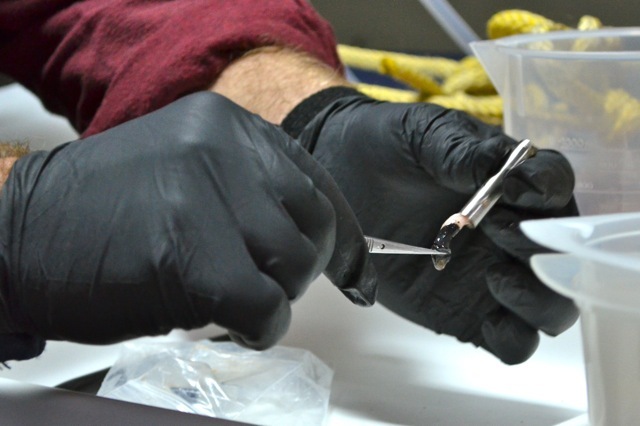 The samples are removed from the dart and then prepared for the trip back to the United States. After the tests are run and the identity confirmed, the researchers will have a better understanding of the whale population that’s here in the Palmer LTER region. The LTER area is an important feeding ground for humpback and minke whales, leopard and crabeater seals as well as other marine mammals. 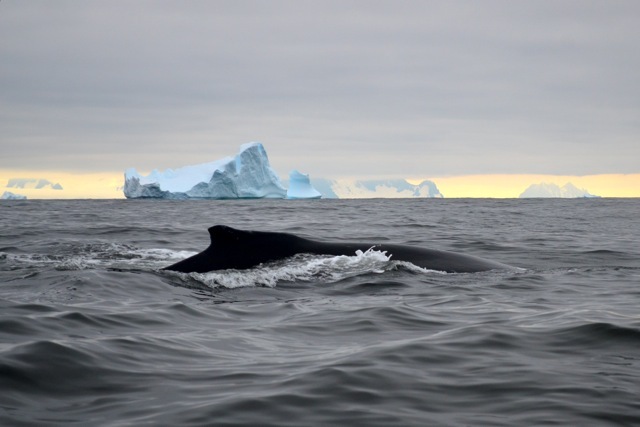 As sea ice declines, temperatures warm and other changes occur along the Western Antarctic Peninsula and this often times means changes to the ecosystem for these animals. It is necessary to study these top predators because scientists need to understand what their populations are like now and anticipate the impacts to the ecosystem in the future. By joining the cruise this season, Dave and Zach are helping to complete the picture of what changes are occurring at all levels of the food web in the Palmer LTER region. Dave Johnston’s Climate Habitat and Marine Wilderness Lab page and Zach’s Conservation Biology lab. All of Jo's entries are cross posted on the Palmer Long Term Ecological Research Station site here. Track her progress on the R/V Gould, and learn more about the Palmer Long Term Ecological Research Station.